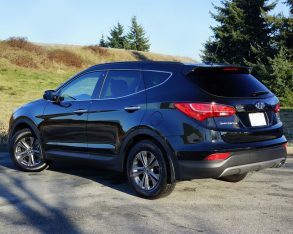 I’ve had a number of opportunities to get behind the wheel of the Hyundai Santa Fe this year and each stint has been a pleasure. 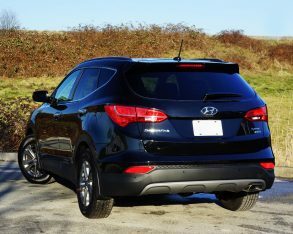 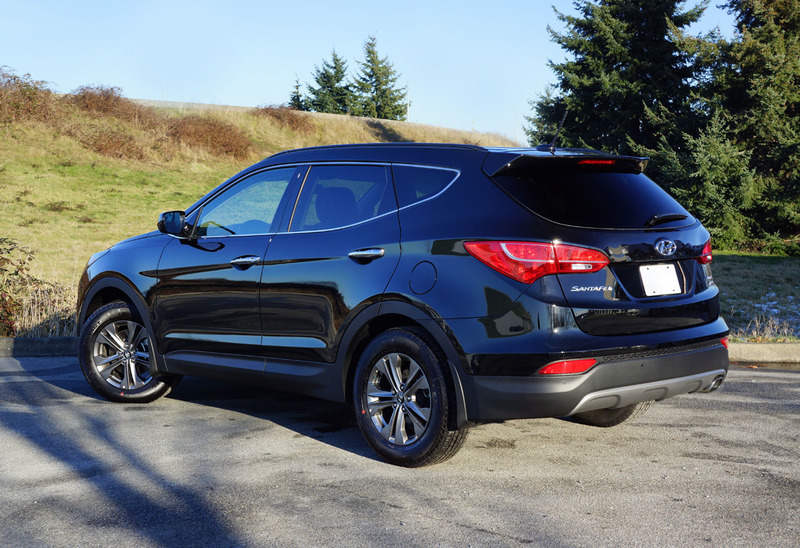 From the near full-size Santa Fe XL in nicely outfitted Luxury AWD trim to an even more lavishly appointed five-seat Sport SE model, I’ve found them comfortable, accommodating, feature-filled, and enjoyable to drive, not to mention great looking. 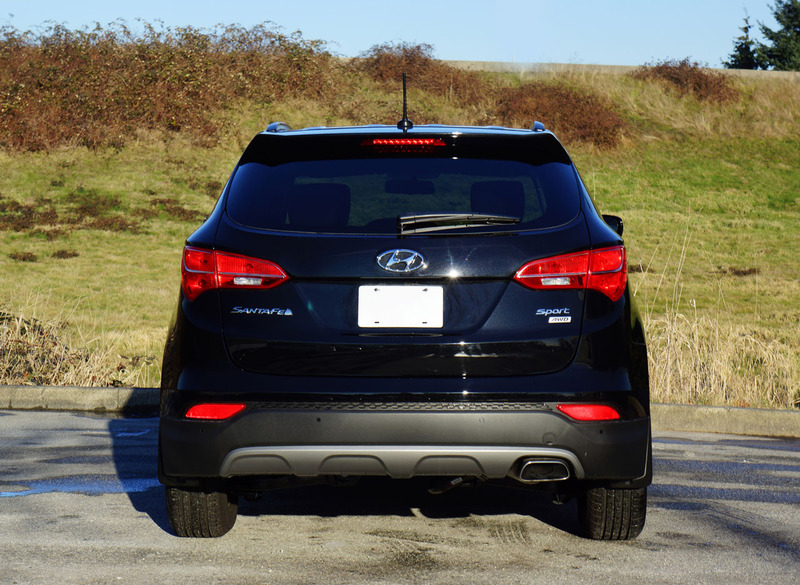 I’ve got to admit to liking the Sport’s styling more, its rear quarters displaying one of the best looking sets of taillights in the crossover sector. 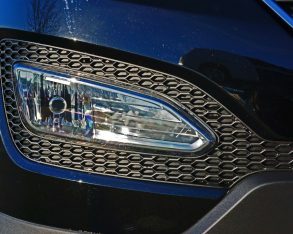 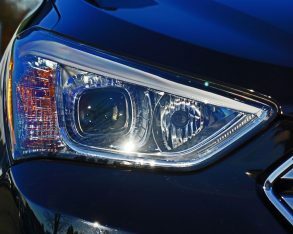 Up front its bright trapezoidal grille gets one less chromed cross-member resulting in three thicker slats from top to bottom, while the fog lamps are larger, bolder, more rectangular units that match up well with the smaller CUV’s performance-oriented image. 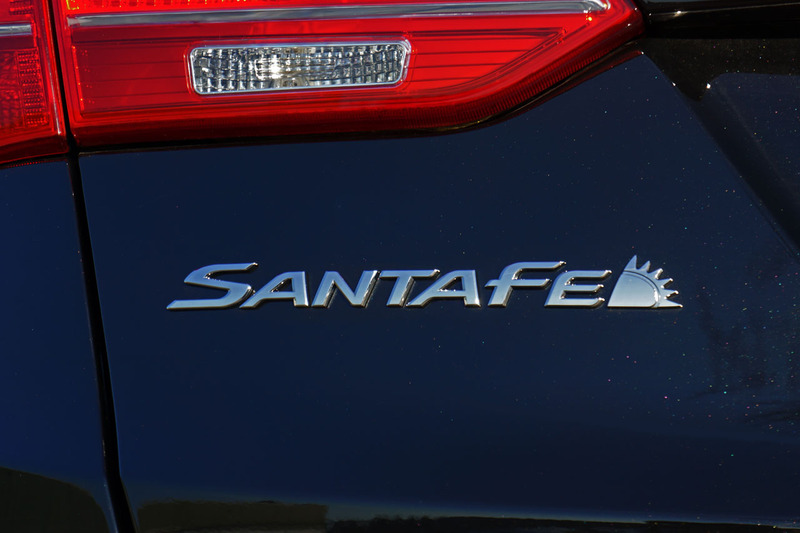 that last point I need to interject that image isn’t the Santa Fe Sport’s only sporting characteristic, the regular-length crossover living up to its model designation nicely. 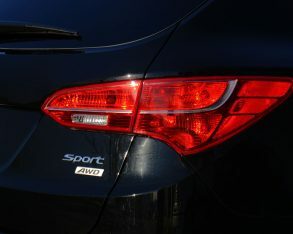 In base trim the engine is larger albeit less energetic, the 2.4-litre direct injection-enhanced four making 190 horsepower and 181 lb-ft of torque compared to the turbocharged 2.0T’s 265 horsepower and 269 lb-ft rating, but its power is sufficient for spirited acceleration and good passing capability on the highway. 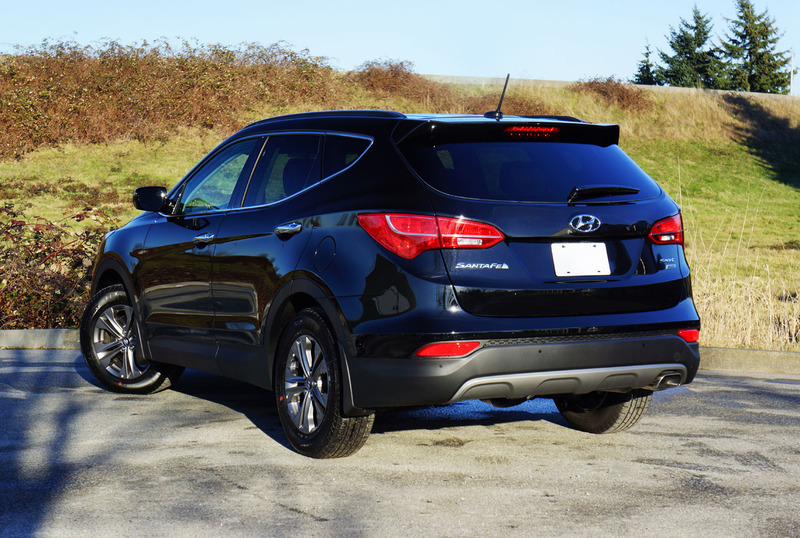 It comes mated to a smooth and efficient six-speed automatic with Shiftronic manual mode that delivers quick, crisp shifts when trying to exact all of the engine’s performance, although while sauntering around town gear changes are hardly noticeable. 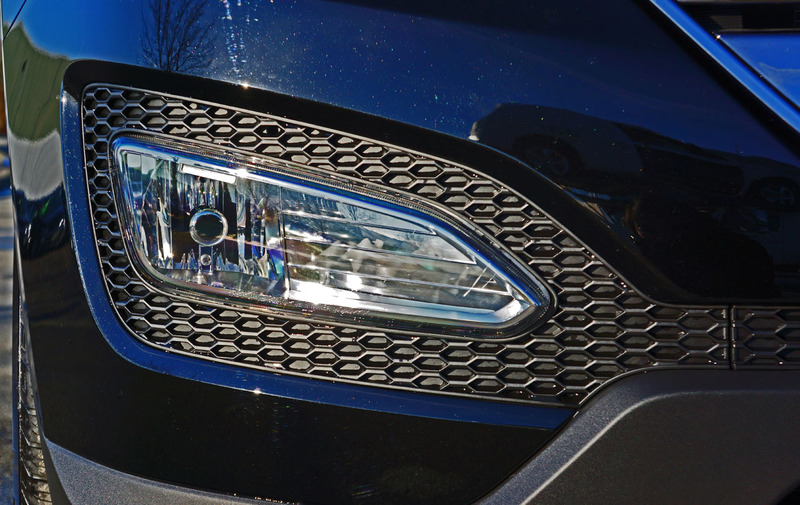 this mid-size CUV segment, smooth is the way most people like it. 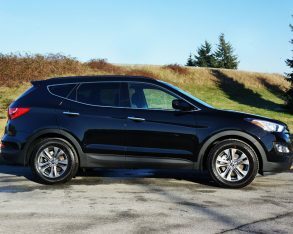 The Santa Fe Sport might look as agile as a BMW X5, but it’s purposely designed to optimize comfort first and foremost, while performing well enough for a little fun behind the wheel when occasion arises. 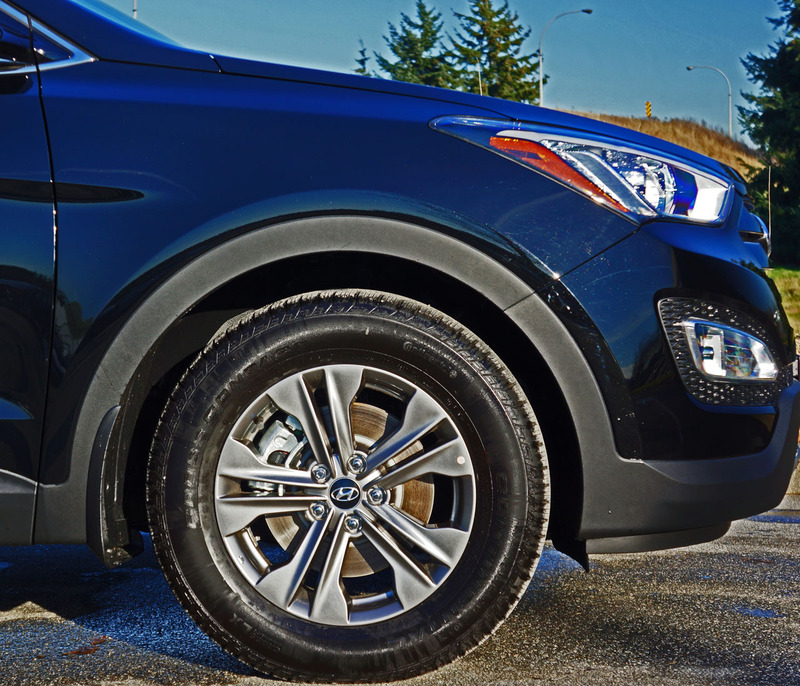 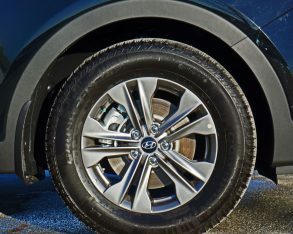 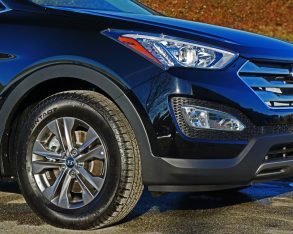 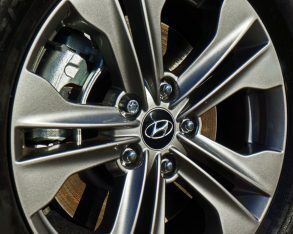 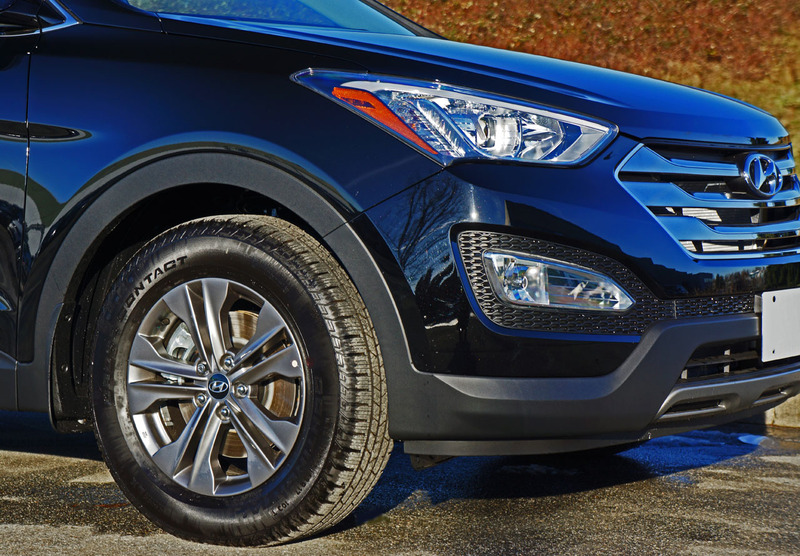 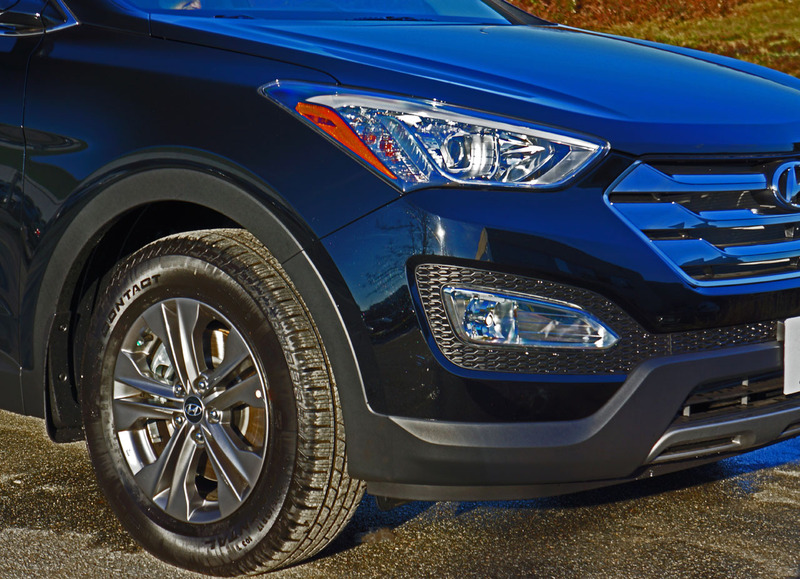 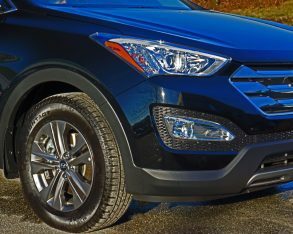 Therefore the Santa Fe’s ride is smooth and comfortable, thanks in part to the 235/65R17 Continental Cross Contact XL tires on my Sport 2.4 Premium AWD tester, the same tire and wheel package included with the base 2.4L FWD model. you can get the 2.4 Premium FWD, the 2.4 Premium AWD, the 2.4 Luxury (which comes standard with all-wheel drive), 2.0T Premium AWD, the 2.0T SE I tested before (also standard with AWD), and upscale 2.0T Limited trim (featuring AWD as well). 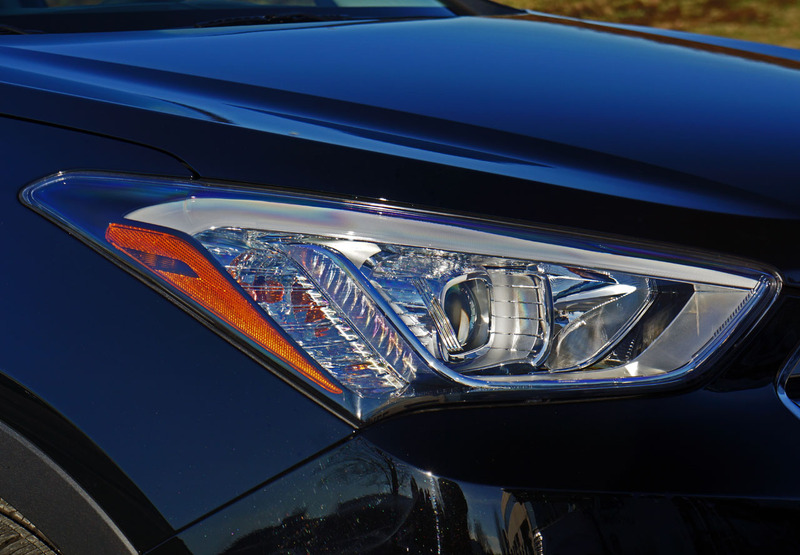 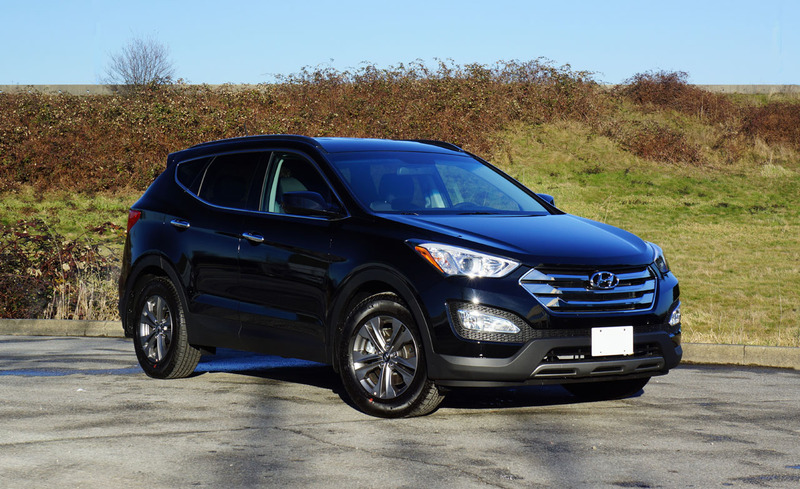 For your sake and mine I won’t talk in detail about every trim level, but I will share standard features along with available options across the line, plus of course inform about everything that comes standard on this particular 2.4 Premium AWD. 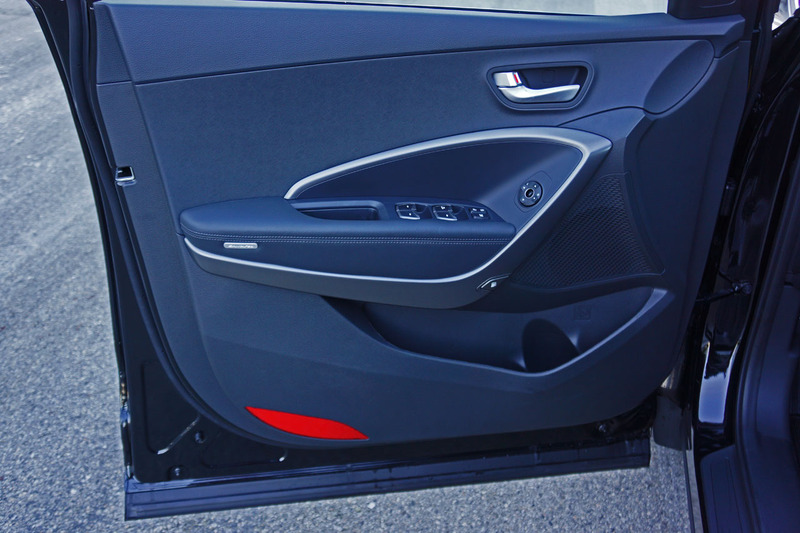 the entire vehicle, chromed door handles, roof rack side rails and rear spoiler. 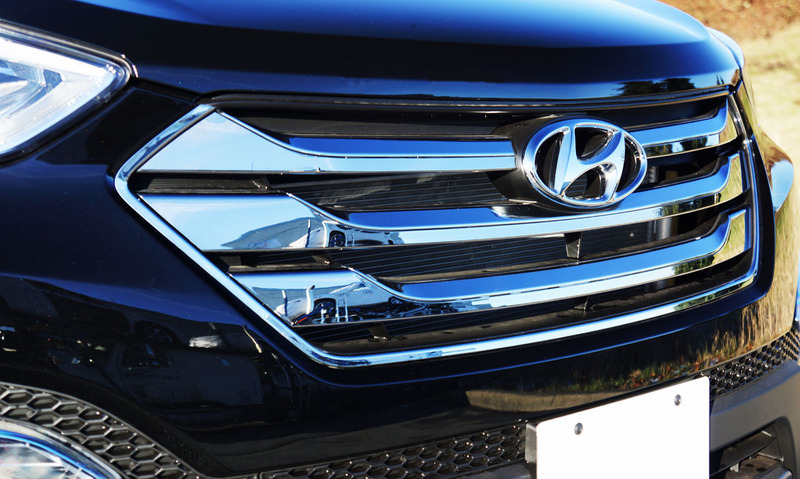 Its windshield gets a standard de-icer, side mirrors are infused with identical heating elements and power adjustability, and backside also hide a pre-wiring harness for trailering; its stock tow rating is also set to 907 kilos (2,000 lbs). 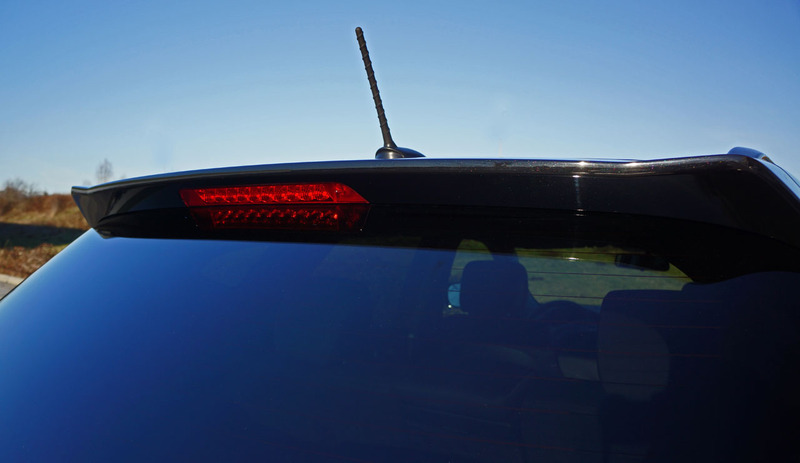 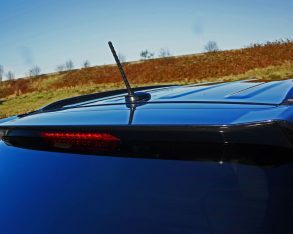 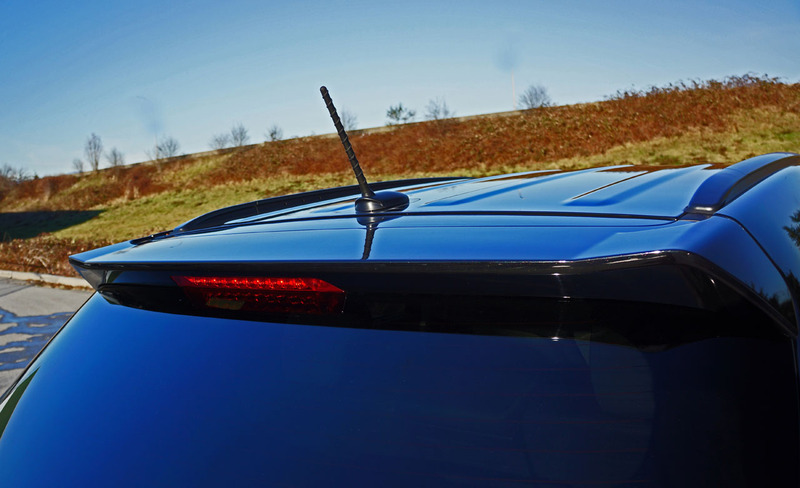 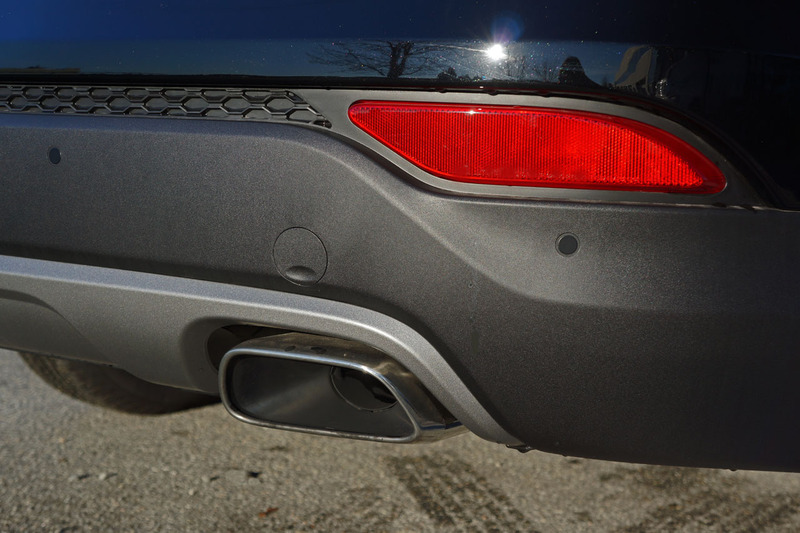 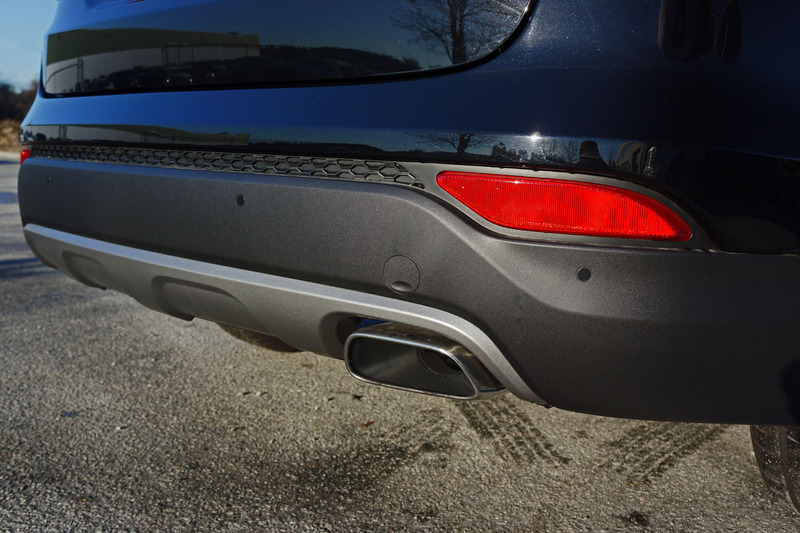 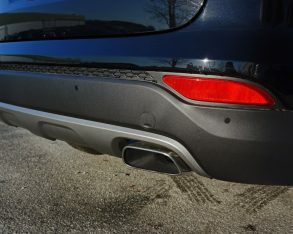 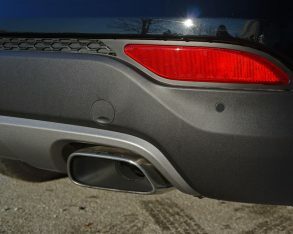 The only thing missing from the base model’s backside are sensors for the rear parking sonar, standard with the Premium. 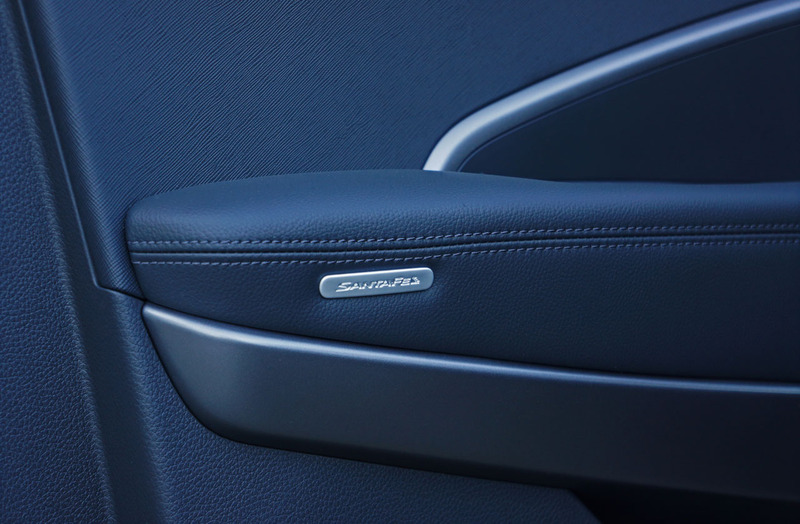 that’s stitched to appear handcrafted. 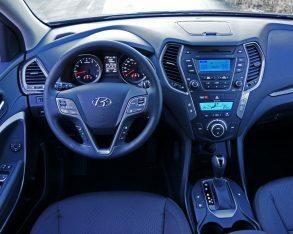 Both base and premium models come kitted out with tilt and telescopic steering, steering wheel-mounted Bluetooth, cruise and audio controls, the latter connecting through to a six-speaker AM/FM/CD/MP3 display audio system with satellite radio, aux and USB jacks plus iPod/iPhone integration, while that standard list continues with heated front seats that offer two-way powered lumbar support for the driver, and upholstery that combines attractively patterned cloth inserts with a high-quality woven black fabric for the bolsters and sides. 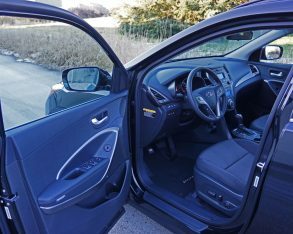 The second row reclines and folds flat via an ultra-accommodating 40/20/40 split, while rear passengers enjoy privacy glass. 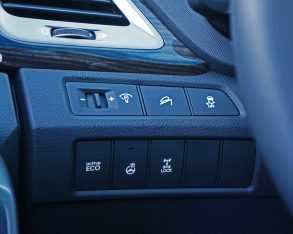 the Premium model those rear passengers also get heated cushions at each window seat and side window sunshades, while the driver will be amply cared for in a 12-way powered seat with four-way powered lumbar, along with a heatable leather-wrapped steering wheel and leather-wrapped gearshift knob. 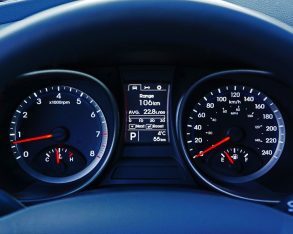 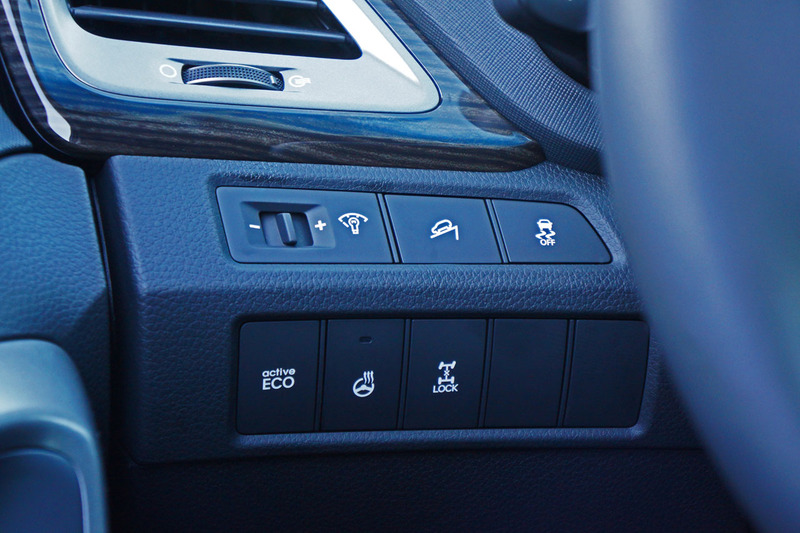 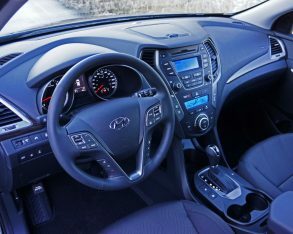 The base model’s manual HVAC is also upgraded to dual-zone automatic climate control, a lot of extras for the reasonable charge of $1,800 over the base model’s $26,799 starting price, plus $1,795 for freight and pre-delivery preparation of course. 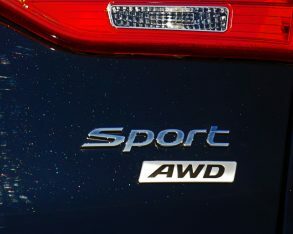 My Premium AWD model was $2,000 pricier at $30,599; all of that money going toward its all-wheel drive system. 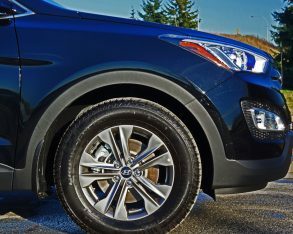 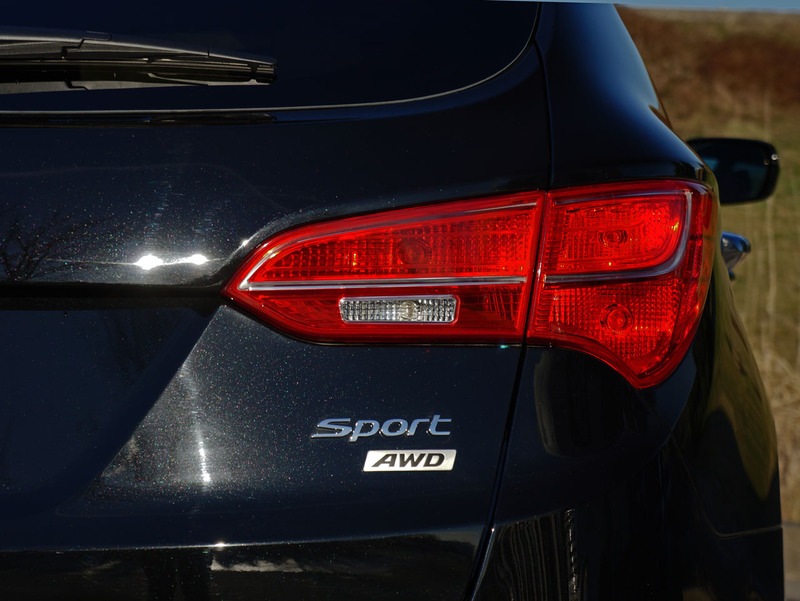 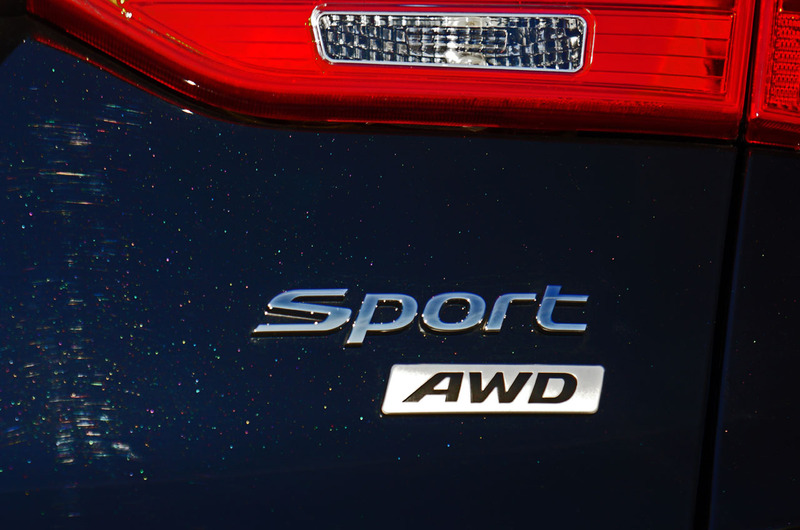 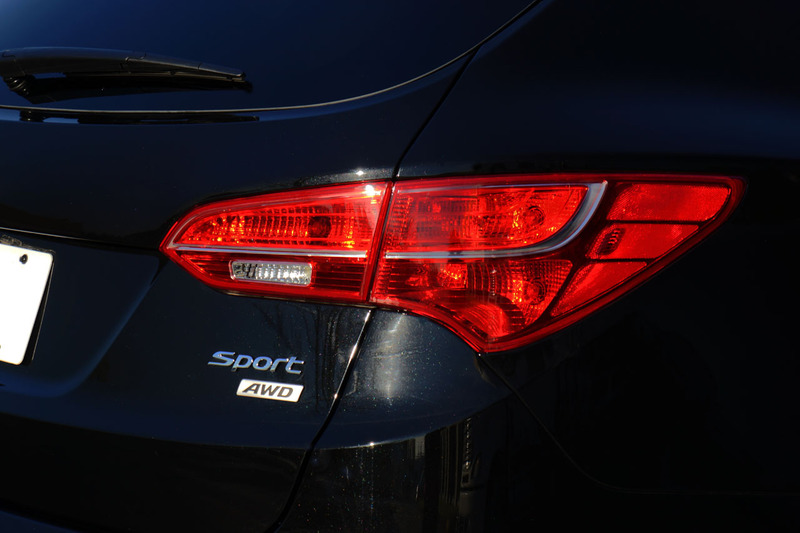 AWD system uses a sophisticated technology dubbed Active Cornering Control, which has the ability to improve stability in all weather conditions by adjusting inside wheel speed during a turn. 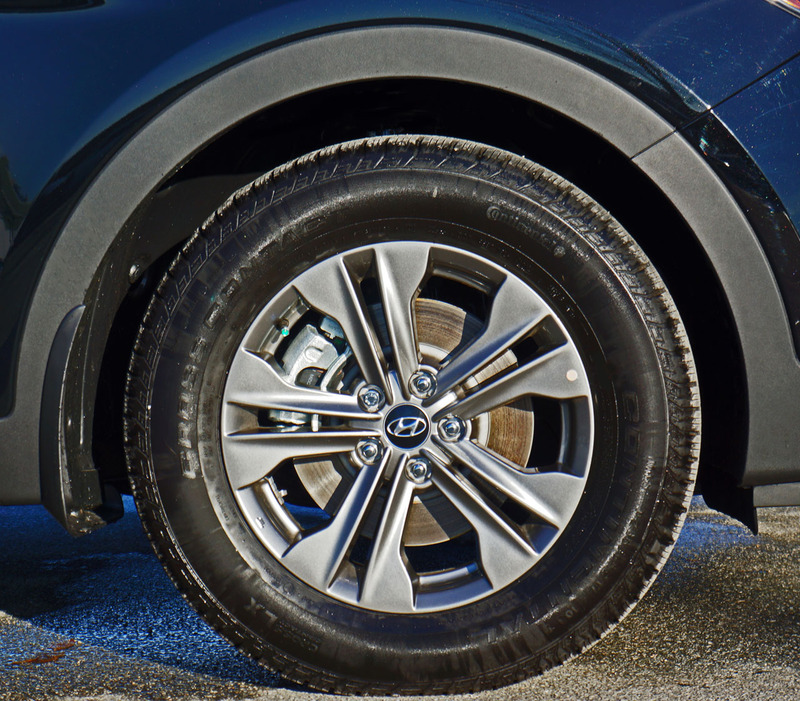 Along with this comes AWD’s usual four-wheel grip that will get you moving in foul weather, especially useful in most of Canada’s ice cold winter conditions and for winter sports aficionados wherever they reside. 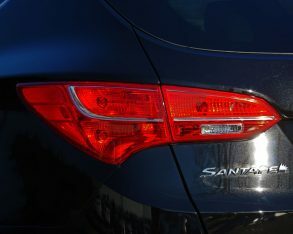 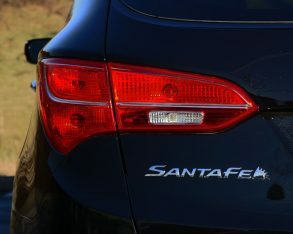 Safety in mind, all Santa Fe Sports come with added inclement weather traction via traction and stability control made better by Vehicle Stability Management (VSM), plus ABS-enhanced four-wheel disc brakes with electronic brake-force distribution and emergency brake assist, and all the expected airbags as well as the welcome addition of an airbag for the driver’s knees. 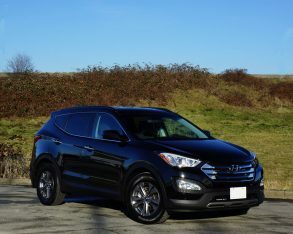 weather was good during my test, so opportunities to test out the Santa Fe Sport’s various active safety gear was limited. 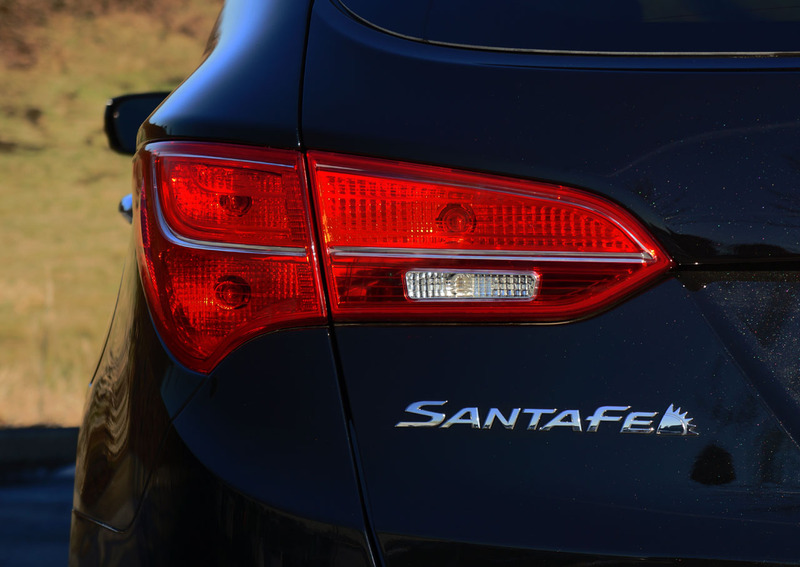 Nonetheless I’ve spent a lot of time in Santa Fes recently, as mentioned, and over the years, and therefore can attest to their overall capability in extreme conditions. 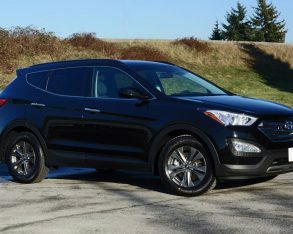 On the dry our Santa Fe Sport 2.4 was perfectly at ease, its fully independent suspension providing an ideally comfortable ride only upstaged by the even more comfortable driver’s seat; I could’ve kept going for multiple-hour stints without complaint. 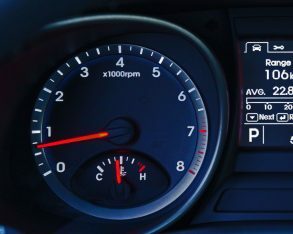 Power from the 2.4 wasn’t as stimulating as the 2.0T, as expected, but as far as base power plants go it delivered strong acceleration off the line and didn’t leave me feeling flat when passing on the highway. 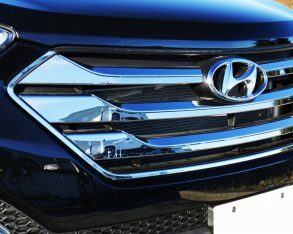 Truly, unless you crave the adrenaline rush of turbocharged power enough to spend extra, or require towing capacity of up to 1,587 kilos (3,500 lbs), the 2.4 is likely all you’ll need. 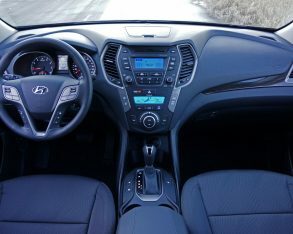 in all directions is excellent, while ergonomics were pretty close to perfect for my five-foot-eight body. 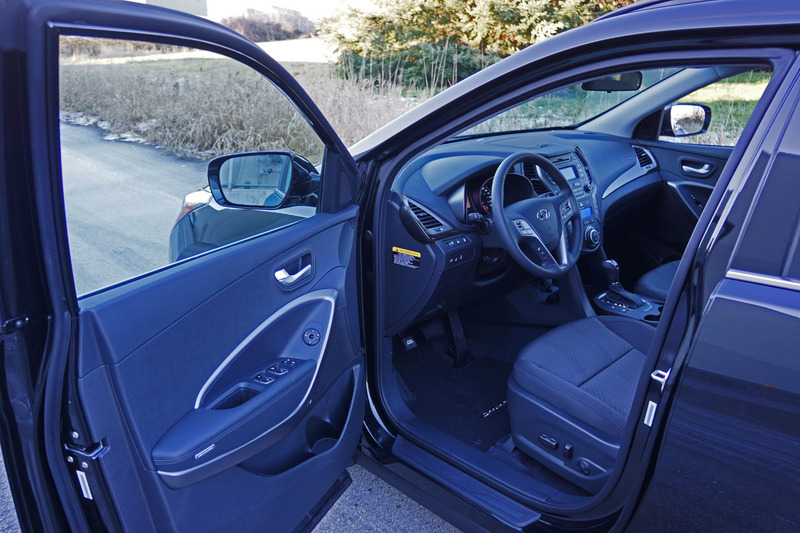 I took opportunity to sit in back and found the seats amply comfortable too, while the recline feature would no doubt be appreciated on longer drives. 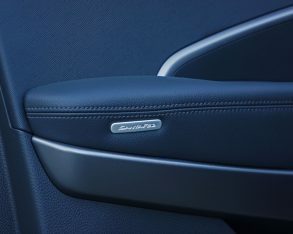 This said the ultimate Santa Fe rear seat feature is the aforementioned 40/20/40 seatback flexibility, which could easily be a dealmaker for those with active sporting lifestyles like mine. 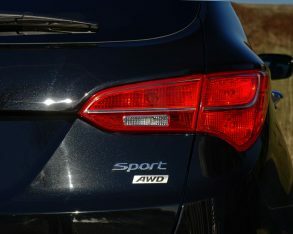 With my long skis forcing the need to fold one rear section flat in order to accommodate the kids, there’s always one uncomfortable centre passenger in vehicles that utilize the usual 60/40 split, but 40/20/40 allows longer items to be laid right down the middle and rear seat occupants to enjoy the benefits of the outboard seats, which as you might remember include rear seat heaters in Premium trim. 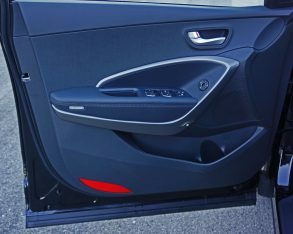 available behind the rear seatbacks and a total of 2,025 litres (71.5 cubic feet) if all three of the rear seatbacks are lowered. 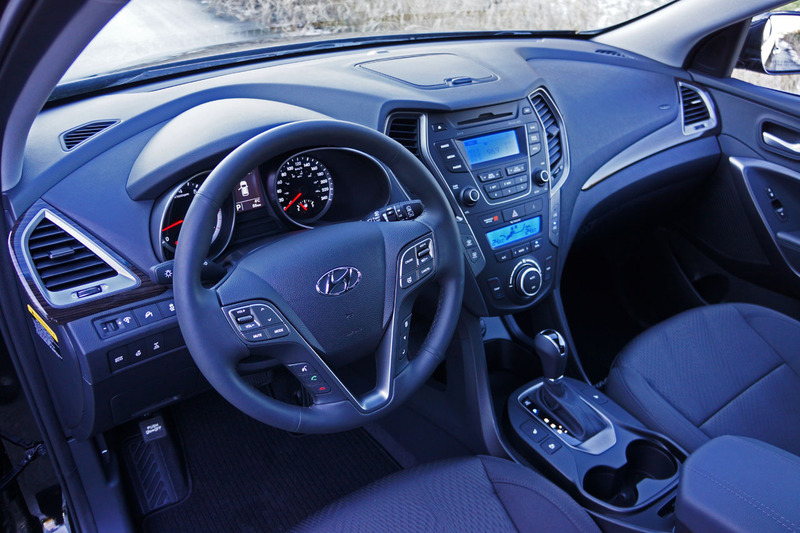 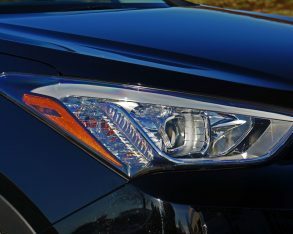 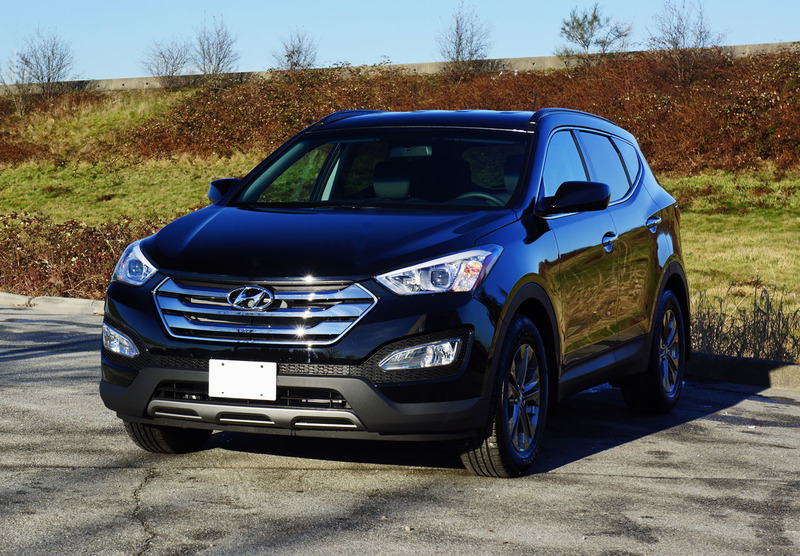 While not class leading it’s extremely good when compared to five-occupant competitors, and remember that Hyundai will be happy to sell you a long-wheelbase seven-passenger Santa Fe XL if you need more room. 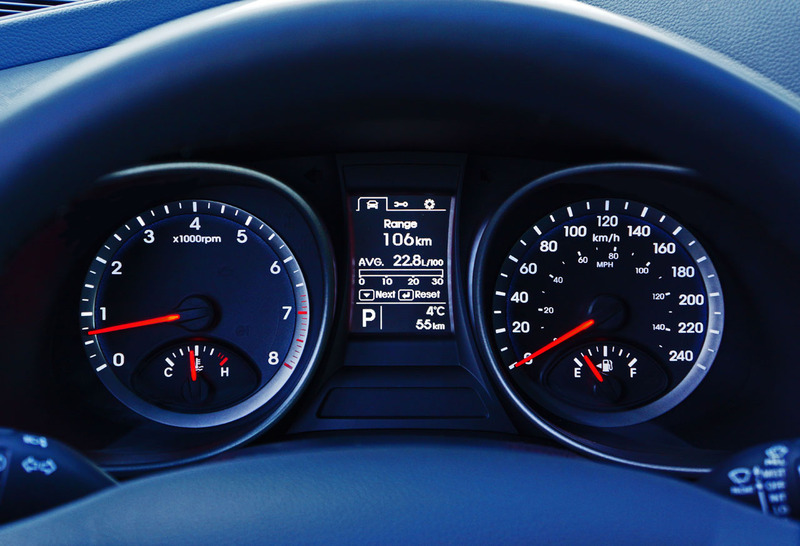 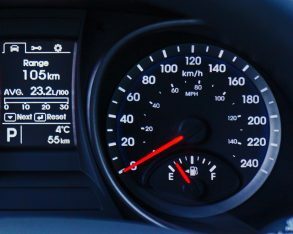 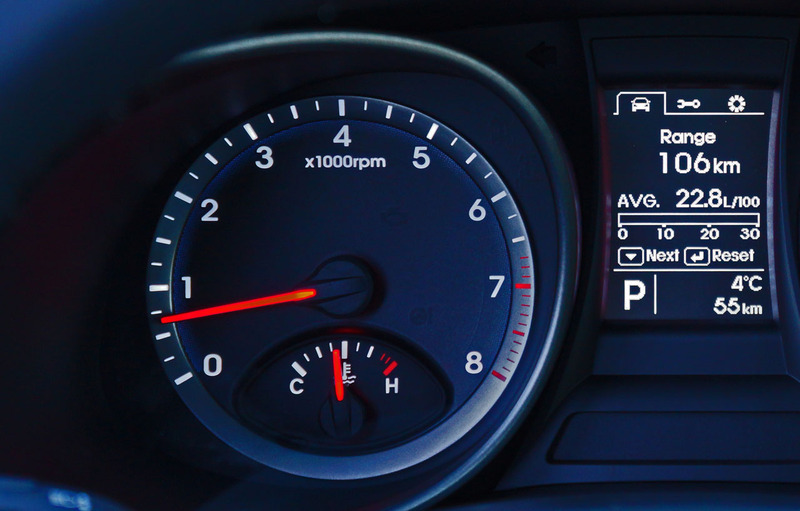 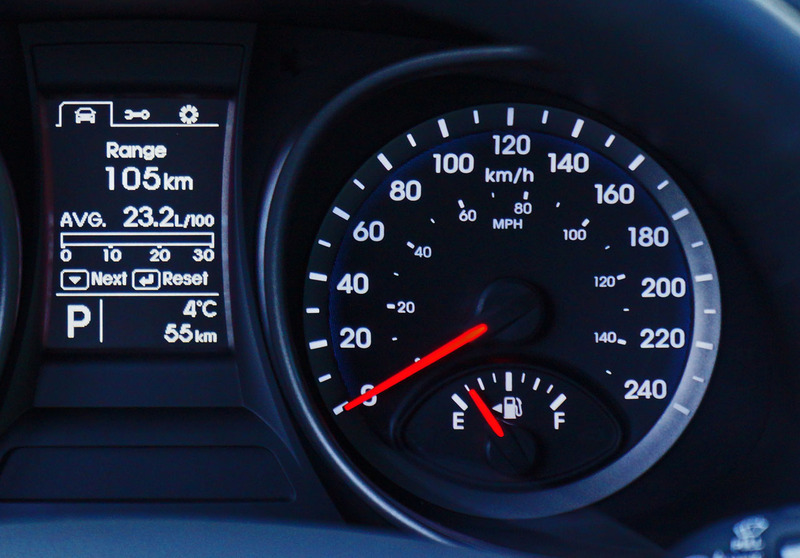 realistic estimates, but the real fuel economy you experience won’t change one iota. 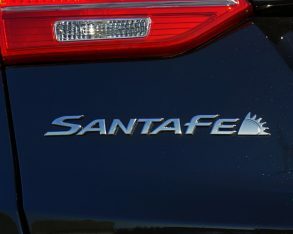 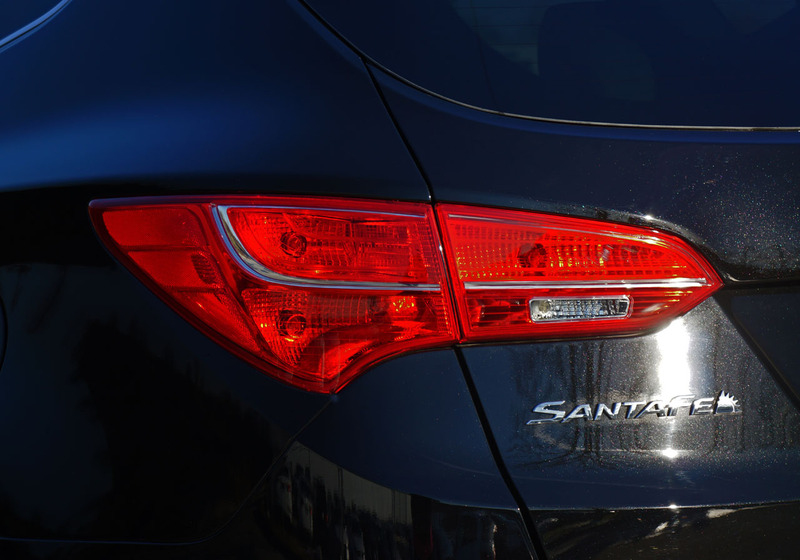 On that note, the 2015 Santa Fe Sport will get an estimated rating of 11.7 city, 8.7 highway and 10.3 combined in FWD trim, or 12.5, 9.3, and 11.1 in as-tested AWD guise. 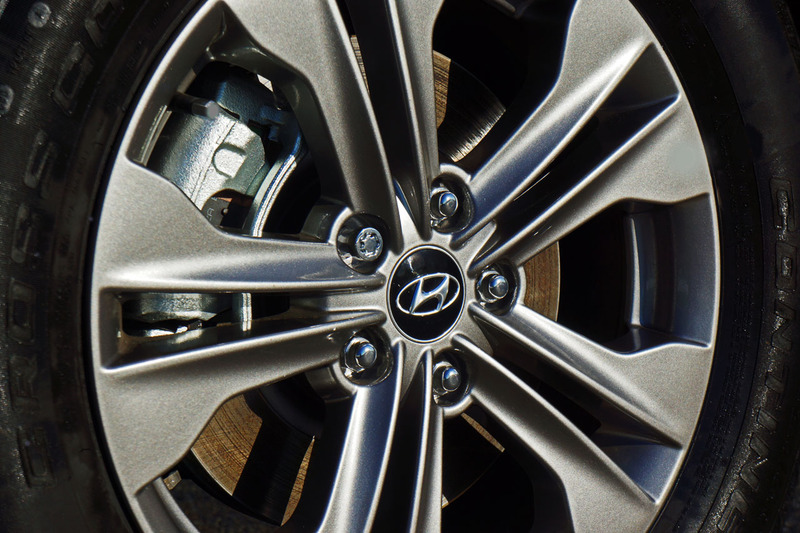 geometry to enhance lateral stiffness. 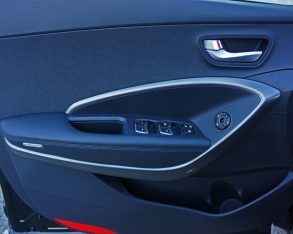 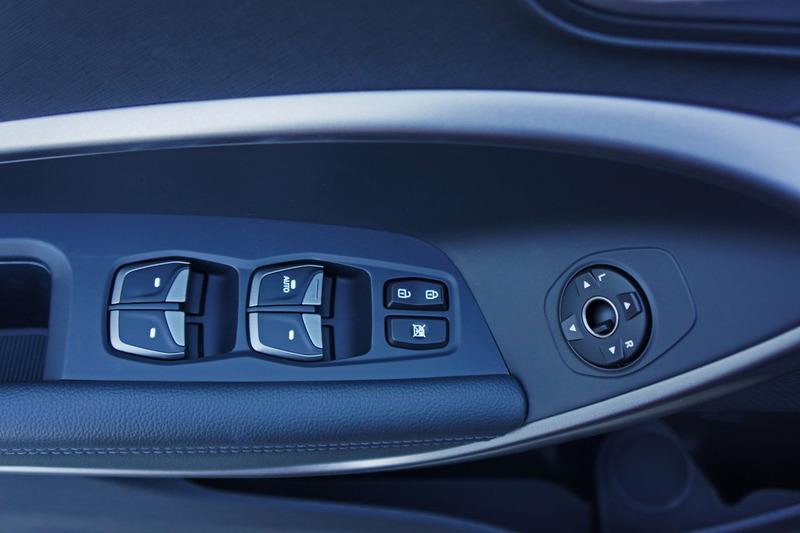 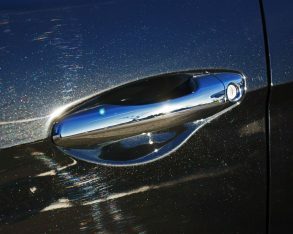 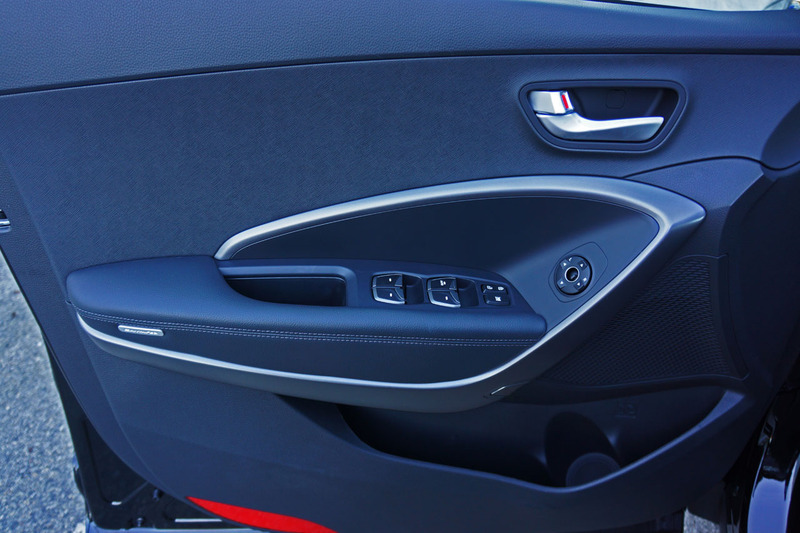 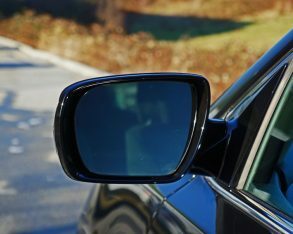 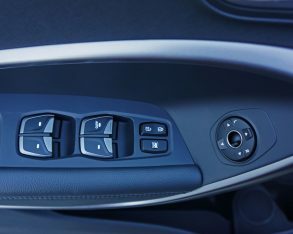 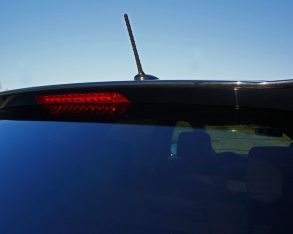 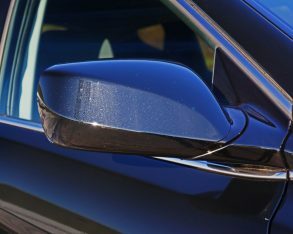 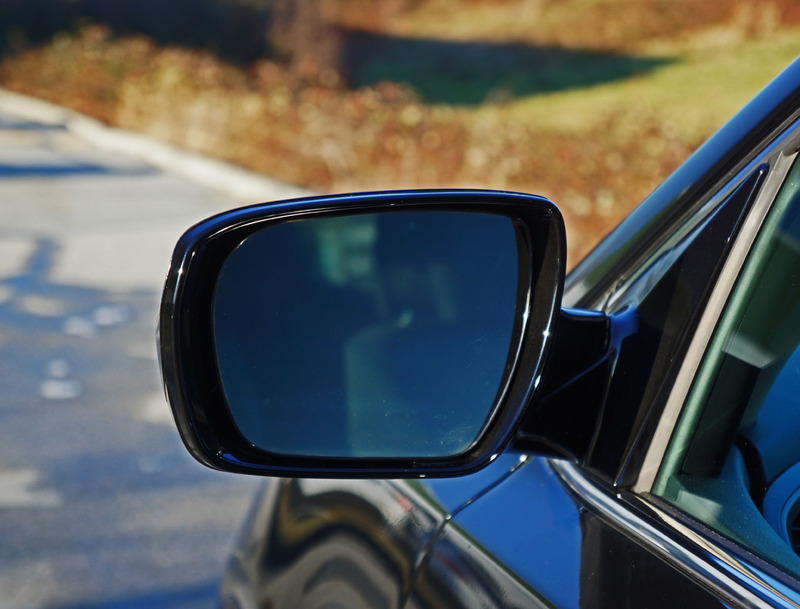 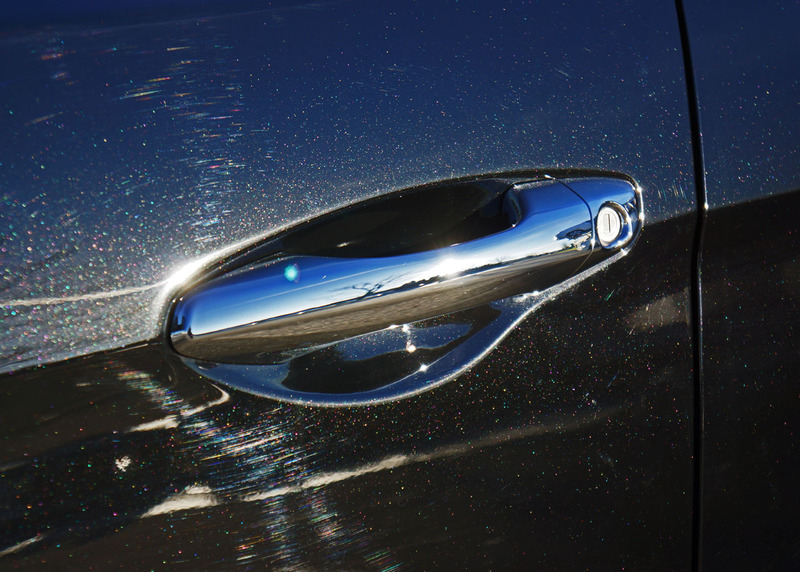 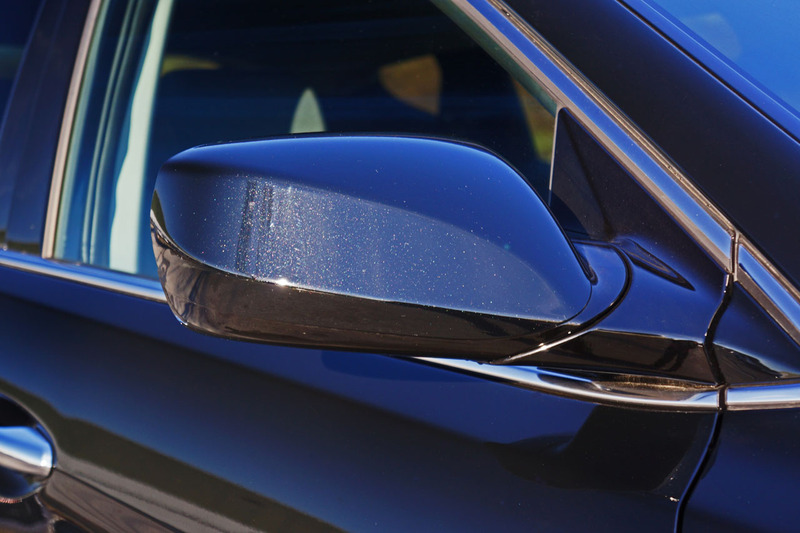 A new driver’s side blind spot mirror should help rearward visibility while the front passenger will get the benefit of a standard auto up/down powered window, just like the driver enjoys now, plus a new hands-free smart powered liftgate feature with Auto Open goes on the options list. 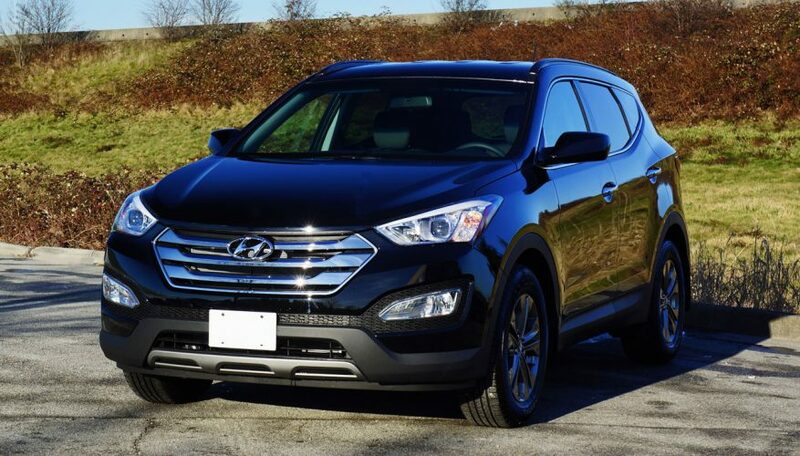 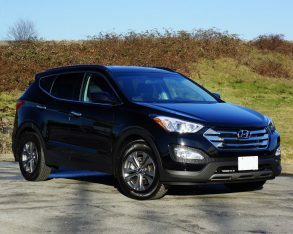 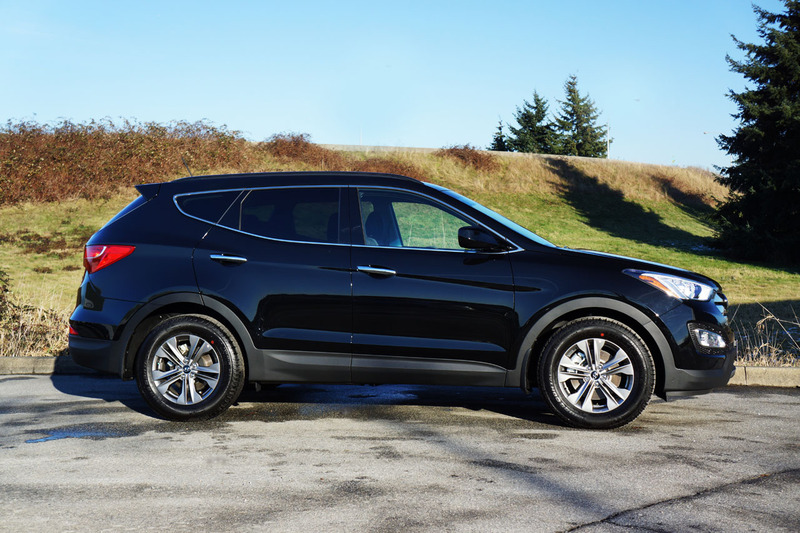 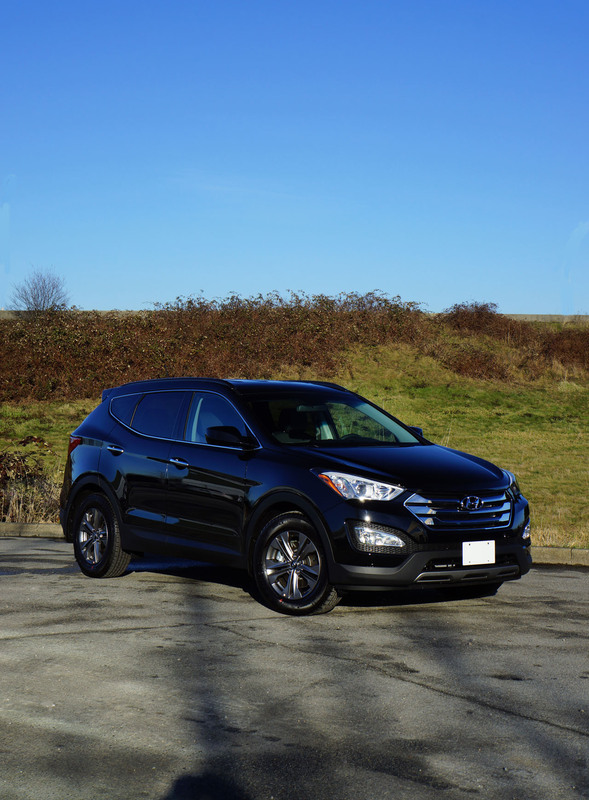 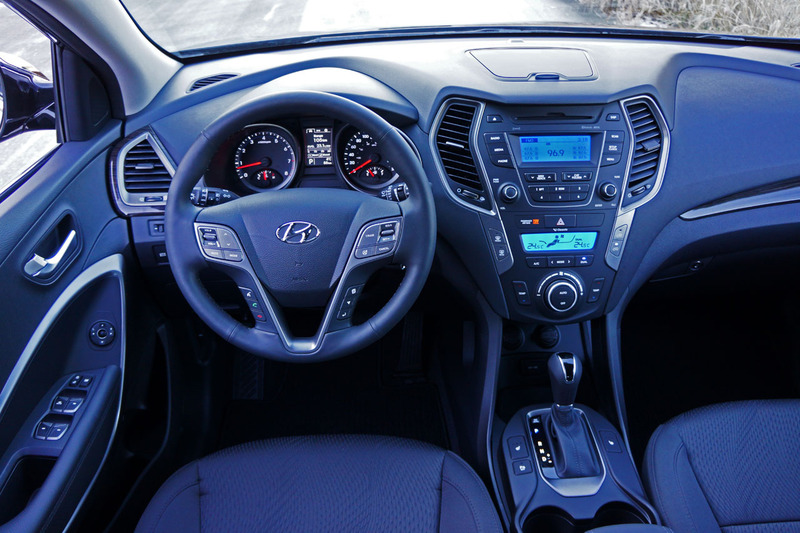 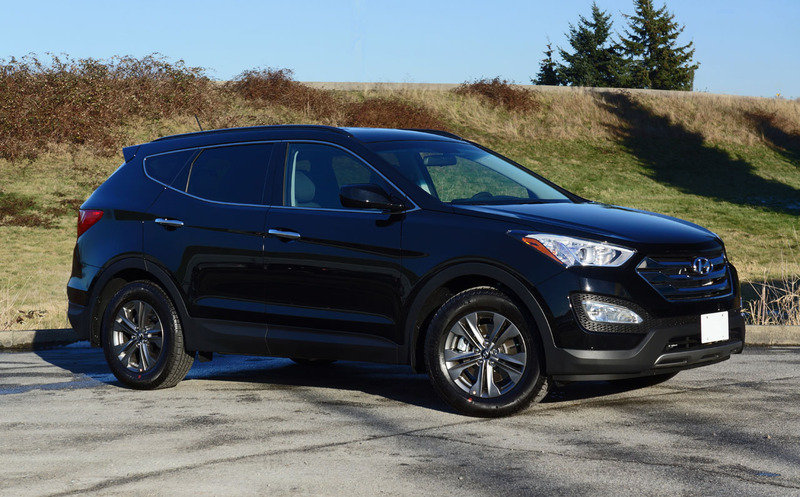 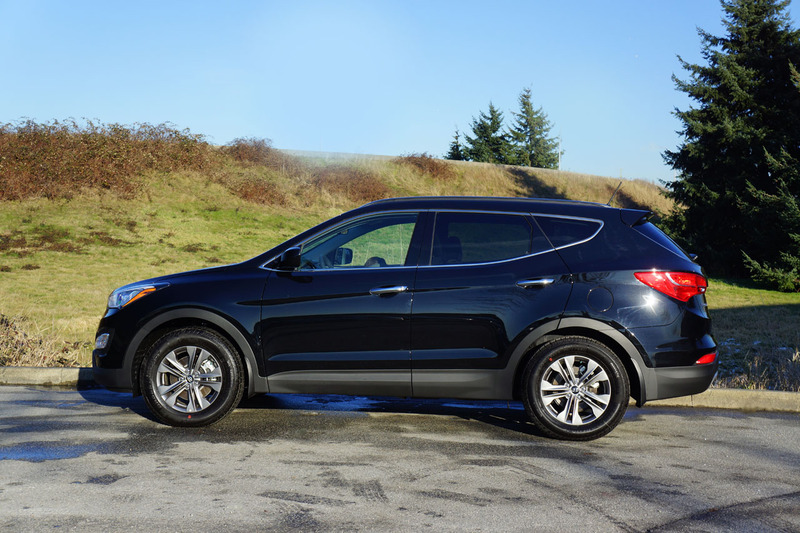 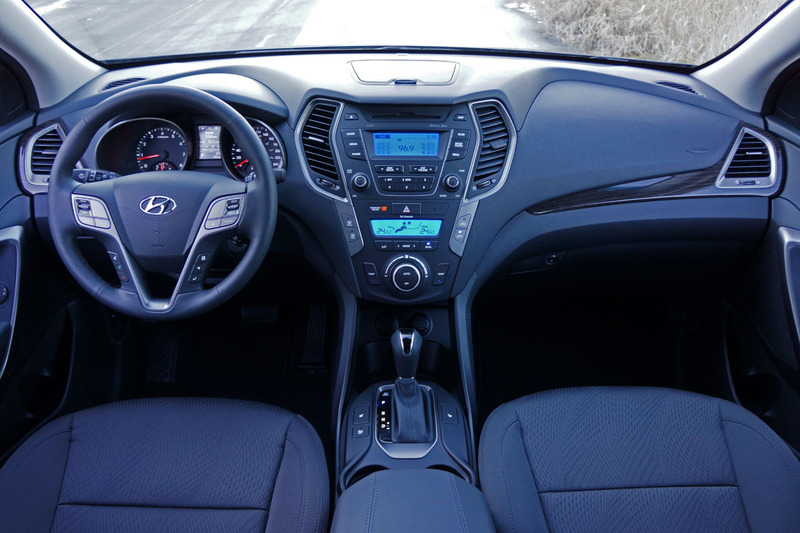 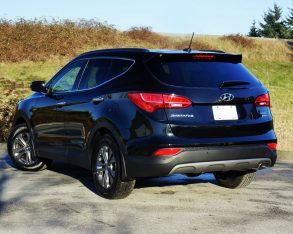 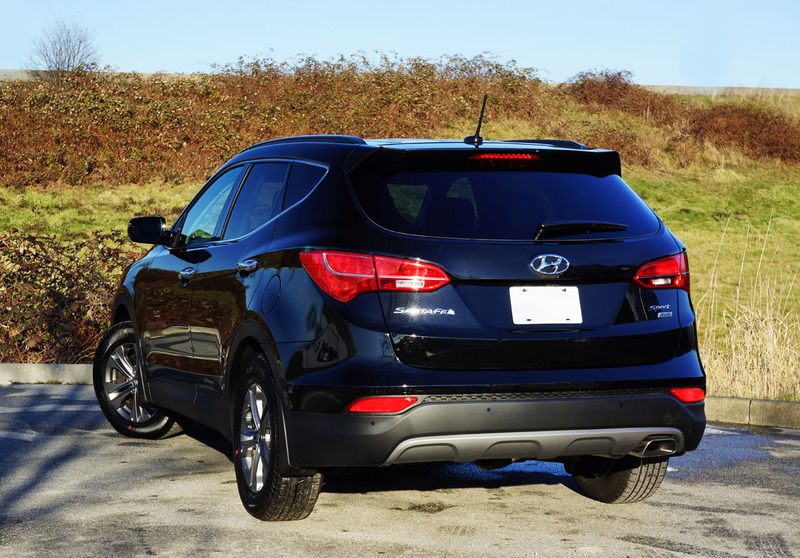 Whether opting for this enhanced 2015 model or getting a discount on one of the remaining 2014 Santa Fe Sports still available, you’ll be getting a great looking, comfortably accommodating, well appointed, great driving and impressively efficient midsize CUV that should give you years of reliable transportation, backed up by Hyundai’s impressive five-year, 100,000-km comprehensive warranty, one of the best in the industry. 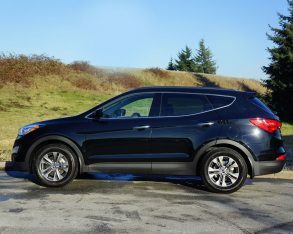 Add all of this to the Santa Fe Sport’s competitive pricing and it becomes a winning value proposition.